Mrs. Chambers writes to ask Miss Berry if she could take a boy if Mrs. 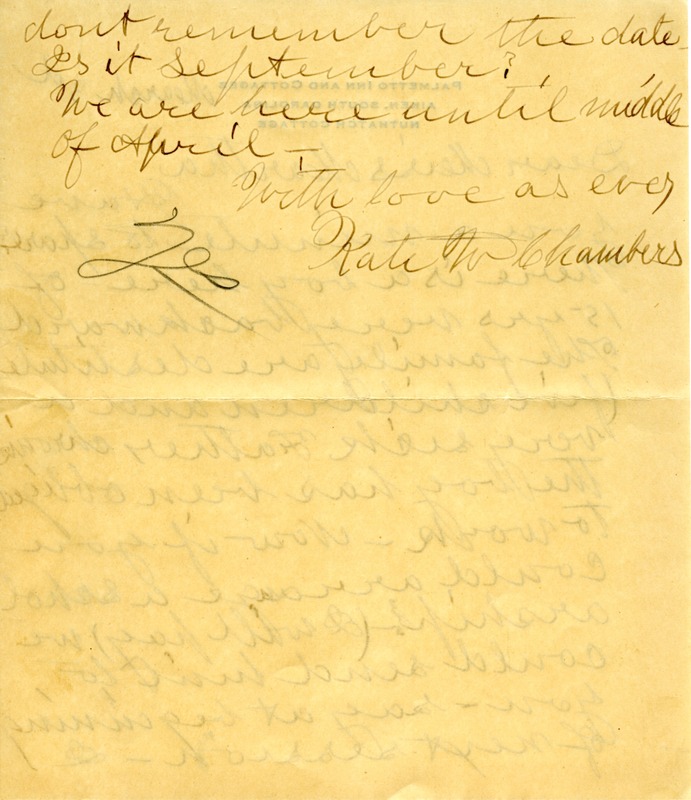 Chambers paid his way. 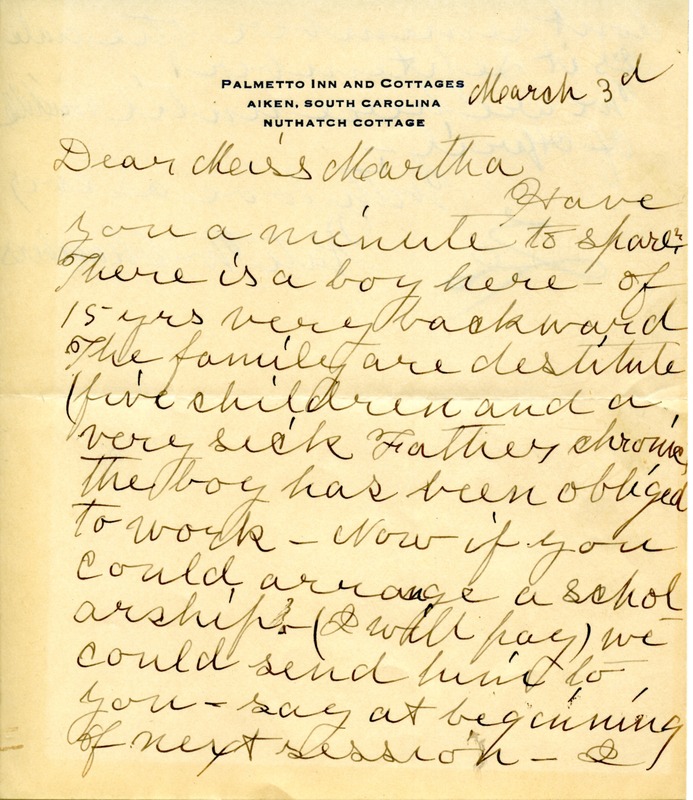 Kate W. Chambers, “Letter to Martha Berry from Kate W. Chambers.” Martha Berry Digital Archive. Eds. Schlitz, Stephanie A., Chelsea Risley, et al. Mount Berry: Berry College, 2012. accessed April 19, 2019, https://mbda.berry.edu/items/show/9753.